my baby picture. Aren't I cute? 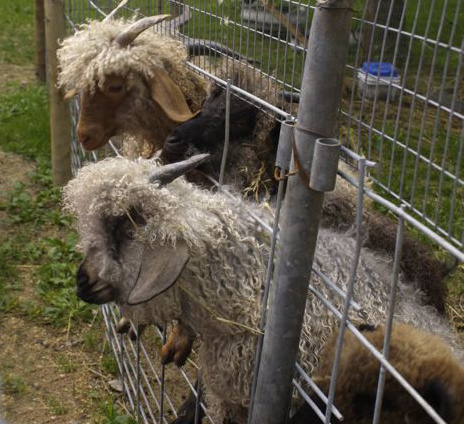 I am angora goat kid. 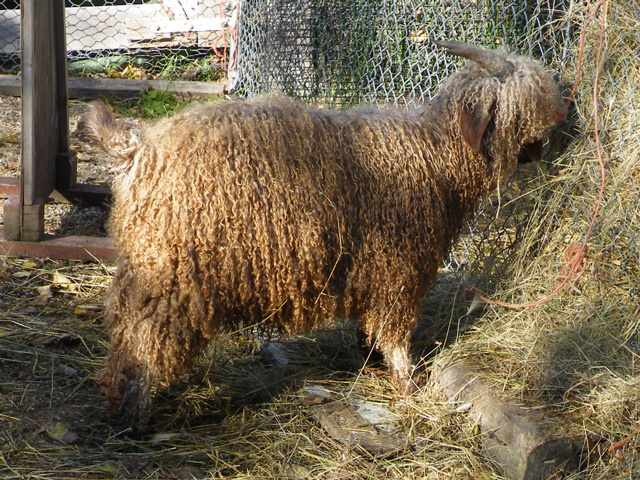 coat to be long and lusterous before it is sheared. those human fingers and toes toasty and cozy? present for someone... like a beautiful shawl. 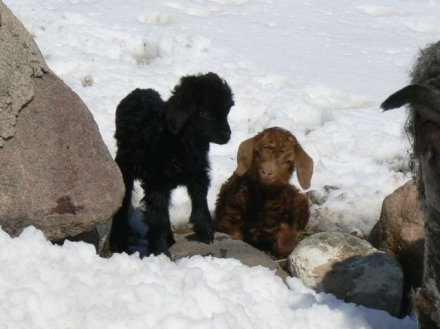 A brand new little doeling came to CCC today. I am a proud mom. Pic to come. 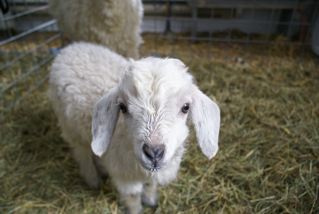 This little girl is a tiny sweetheart name "Katie" in honor of guess who -- our special visitor(s) to Canada on Canada Day! Hey anyone watching the tour on Sunday July 3, in Quebec City, did you see "Batisse"? Wasn't she beautiful. She is the mascot of the Royal Vingt Deux. 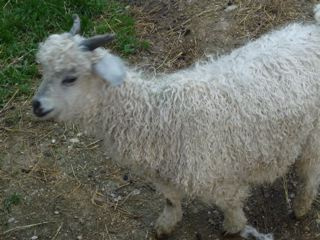 She had a beautiful blue cloak on but I think she is a white cashmere. doe. How great is that - one of us - a mascot to A Royal Regiment in Canada no less! How do I know it is a doe, well did you see her horns?. If it was a buck its' horns would be a lot bigger and grow out instead of back over the head.